Two of my favorite things are fashion accessories and exploring global culture! This post happily combines both today! I came across this amazing collection of Indian jewelry and accessories and I knew I had to feature this company on the blog. Today we’re getting to know business owner Akshaya Rajee and all about her company, Desically Ethnic. 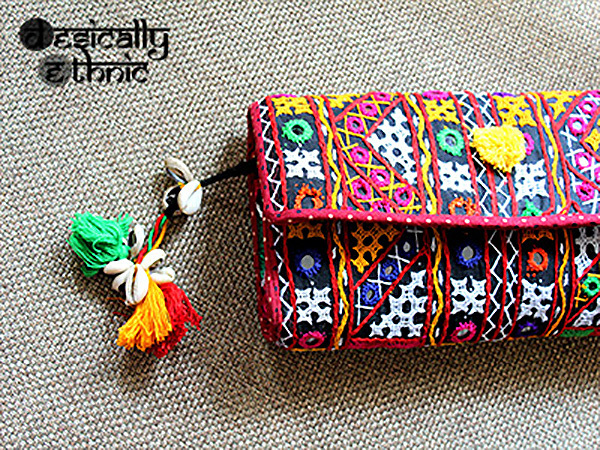 I really, really love Desically Ethnic‘s colorful and unique clutches so I wanted to introduce this special company to you wonderful readers. I learned a lot of fun facts during this interview that I’m looking forward to sharing with you! Jacquin: So glad to have you on the blog today, Akshaya! Share a bit about yourself and your business for the readers. 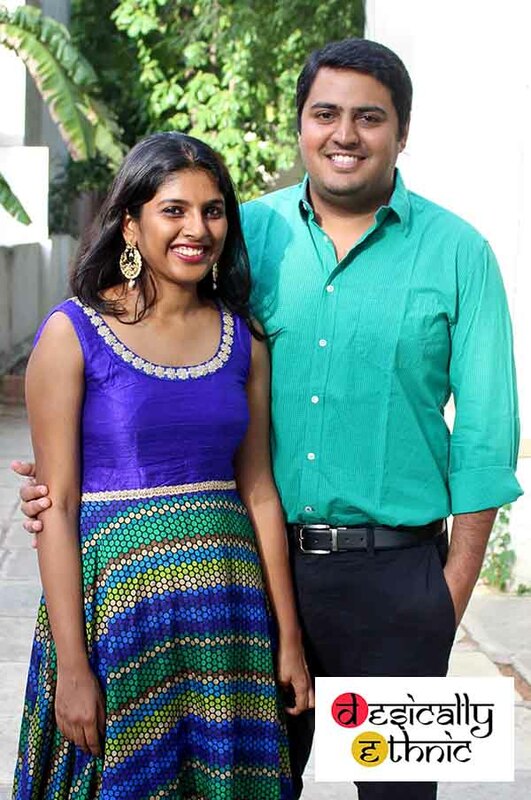 Akshaya: We are Jai Subramaniam and Akshaya Rajee, a husband and wife couple who started out our business Desically Ethnic together. We are both engineers and completed our MBA in Marketing. A creative instinct was always there in both of us, but neither of us were able to satisfy our creative desires in our mundane corporate jobs. So we decided to go ahead with something that would put us up to test! Despite my engineering background, my creativity is absolutely inspired by my mother, who is an established artist in Kerala Murals and Tanjore art. I really believe the foundation was always there for me to move into ethnic forms of art. 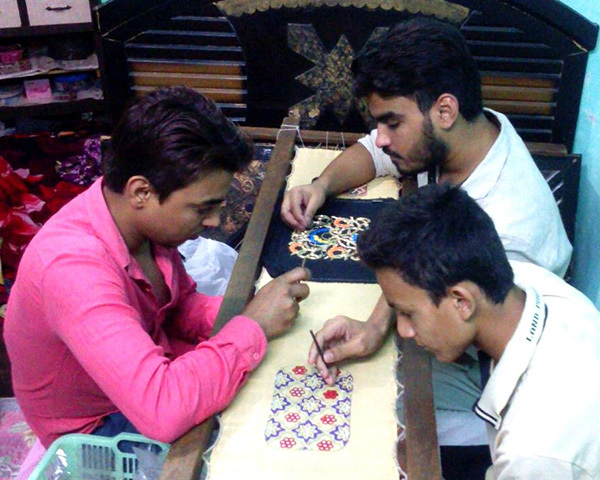 While I take care of the sourcing and designing of the products, Jai handles the operations and marketing. We were very keen on even the nomenclature of our brand being such that it describes the inspiration for our products. ‘Desi’ is actually a colloquial Hindi term which means ‘Indian’. So what we do is ethnic designs inspired by everything that is Desi. So ‘Desically Ethnic’! 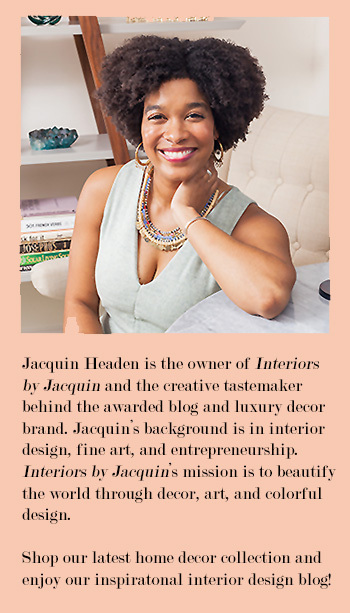 Jacquin: What inspires your handbag and jewelry creations? Akshaya: Our creations are mostly inspired by our love for the varied cultures within India. Just travelling across the states of India introduces us to many variations in art forms, constantly inspiring us to add new designs to our collections. We look to bring about change in the way traditional Indian art forms are looked at. Our designs, though very ethnic in nature, caters to the young at heart. Within the same collection we look to inspire 15 year olds as well as 60 year olds with our unique and whimsical designs, all while maintaining a contemporary look. Jacquin: I’d love to hear about the process behind developing your handbag and jewellery designs. How do you go about creating your designs? Akshaya: We develop our accessories around the women we think will wear each item and the occasions for which they may wear each special accessory. For instance, we have pearl and beaded clutches that are incliend towards dressy occasions along with our classic box clutch collection. For the slightly mature and artsy crowd, we are now launching our mural painted box clutches (shown below). 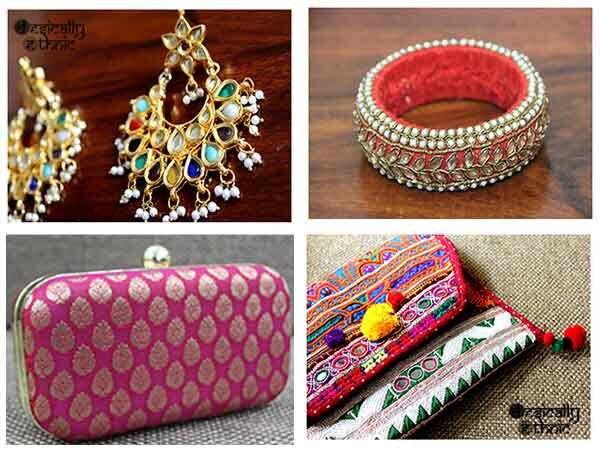 Similarly, we have kutch work clutches and iPAD covers (kutch work clutches shown above) for a slightly younger audience who loves the bling associated with colourful accessories. 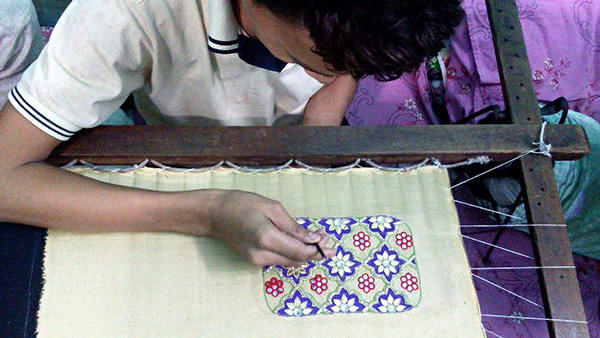 Kutch work embroidery is known to India’s state of Gugarat, and is a popular embroidered textile in India. Kutch embroidery is characterised by the use of vibrant colors, mirrors, and beads showcasing intricate needlework and embellishments layered onto fabric. Even when using a more traditional form like kutch work, we always fine tune our designs around whom we visualise using the product. 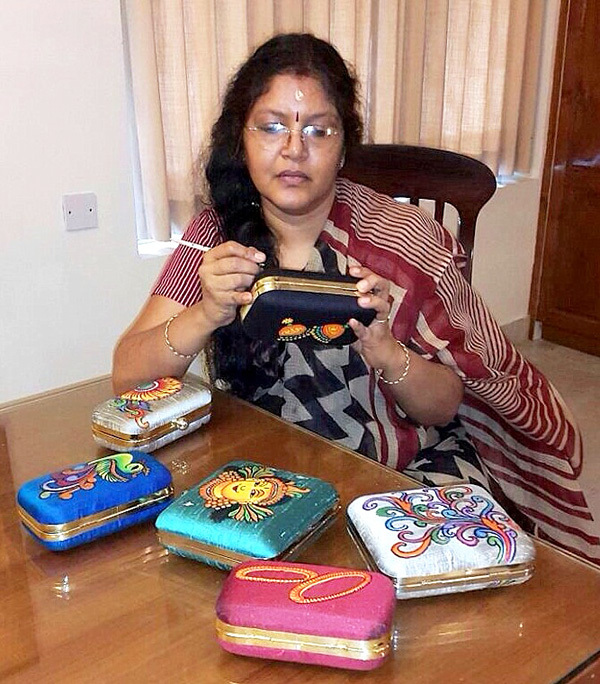 Akshaya: We are really excited about our new addition of mural painted clutch bags and pendants from Kerala, India (shown above). 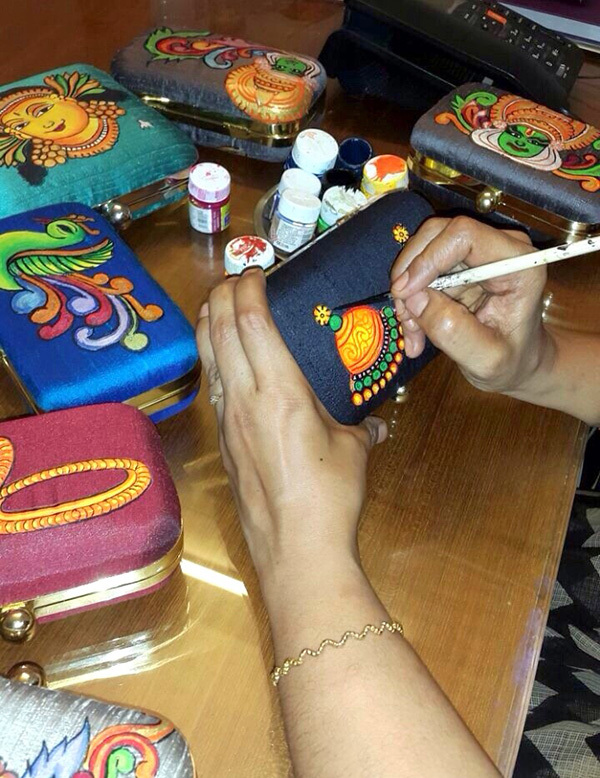 These clutches and pendants are inspired by the traditional Mural paintings found on the temple walls in Kerala (the Southernmost state in India), depicting stories from ancient Indian Epics. I’ve included photos of the development process for our box clutches, mural painted designs, and embroidery work for your readers. Desically Ethnic also has a clothing line in the works. I’ve also included a sneak peak of the development of our first apparel collection. Jacquin: We love seeing behind the scenes! Thank you for sharing a sneak peek of your product development process. It looks like amazingly creative work! You really have a great team of artisans! Jacquin: What are the cultural influences behind your jewellery and handbag designs? 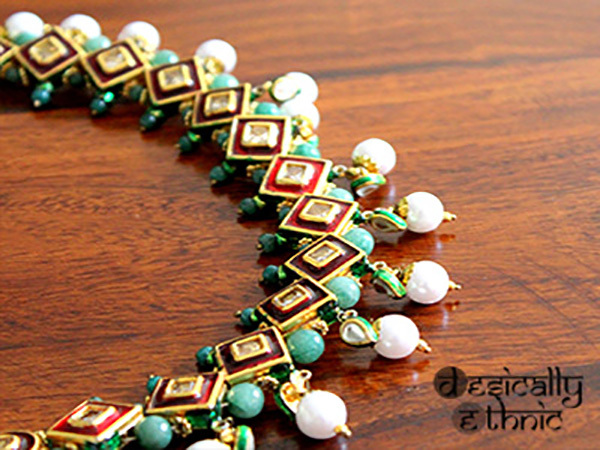 Akshaya: Our current jewellery collection is influenced by Kundan artwork from the Mughal period. 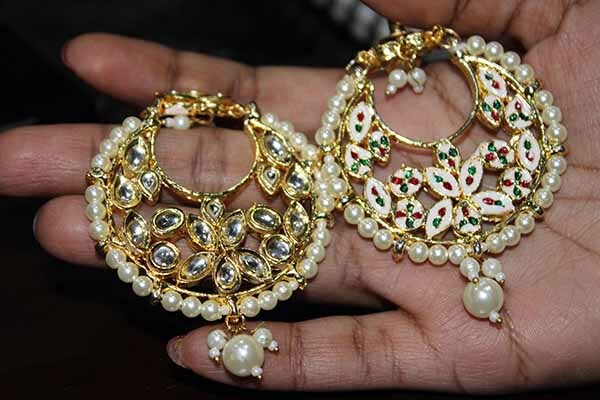 Kundan jewellery was traditionally made of gold and was adorned by emperors and kings, although various metals are used today. In Kundan jewelry, the stones are encrusted on one side and intricate Meenakari work is carried out on the other side. Meenakari is the art of coloring and ornamenting the surface of metals by fusing over it brilliant colors layered into intricate designs. The art form has spread across the world inspiring designs that are mostly worn on special/dressy occasions, like the earrings shown below. Jacquin: One last question for you,Akshaya. As a fellow entrepreneur I must ask, what do you love most about being a creative entrepreneur? Akshaya: The first would surely be the freedom to experiment. Not only do we enjoy the process of experimenting but if all goes right we could possibly enjoy the fruits of it as well. Another wonderful advantage is the quality of people we get to connect and work with. There is a constant exchange of creative talent that keeps the ball rolling. The second most wonderful outcome is the opportunity to please our buyers and bring smiles to their faces. The feedback and the appreciation is what we work towards and to receive it for a creative piece of art is the best reward possible. For more information on Desically Ethnic and their colorful merchandise, please visit their website.